Chris Holmes is an Associate lawyer who practices in the areas of Business Law, Real Estate Law, and Wills & Estates. 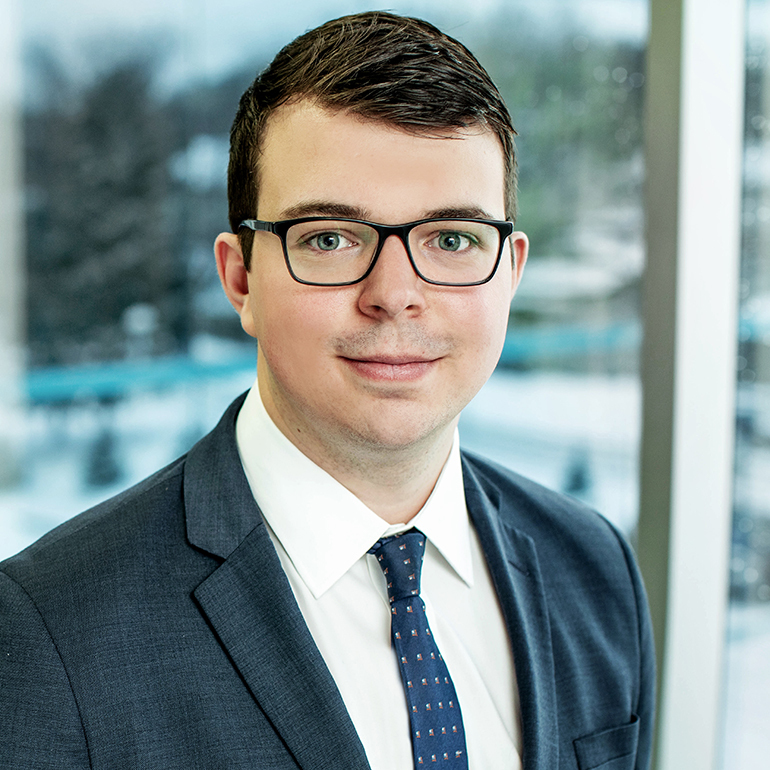 Chris was called to the bar in January 2019 after completing his Articling term with Barriston. Chris completed his law degree at the Peter A. Allard School of Law at the University of British Columbia. While attending law school, Chris acted as a clinician for Rise Women’s Legal Centre, a community legal clinic which provides assistance to low income women with family law matters and will drafting. Prior to pursuing his law degree, Chris earned a Bachelor of Commerce, majoring in Finance, from Ryerson University. Outside of the practice of law, Chris enjoys roasting coffee and boating, having previously worked as a ferry boat driver while in law school in Vancouver. Chris is actively involved in the local community and frequently volunteers for community events as a member of the Rotaract Club of Barrie.